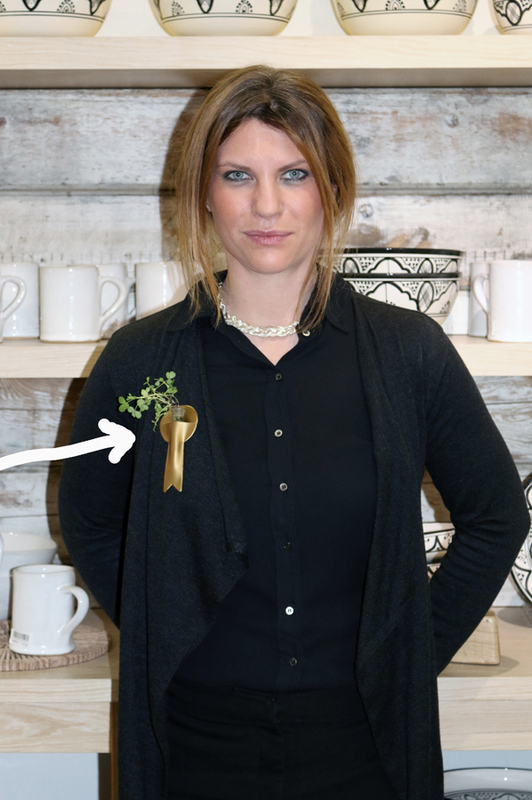 It’s time to knot the William Evans of St James’s shamrock ties. From St Patrick’s Eve to St Patricks’ Evening, west Britain comes to the West End. Ukuleles tuned, Lavender’s Blue enjoy high church and high jinx. St Patrick’s Church is gleaming, no, really gleaming, seriously gleaming, super gleaming, following a recent restoration. Marble practically flows down the steps onto Soho Square. It’s more Italianate than the Vatican City; more Romanesque than the Sacred City. St Patrick’s was the first church in England dedicated to the Patron Saint of Ireland. Shamrocks are blessed and given out after Mass for the Solemnity of St Patrick. This is the last church in London to carry out the tradition. The principal celebrant is Cardinal Cormac Murphy-O’Connor, former head of the Catholic Church in England and Wales. Next stop, dining at the O+C Club to end St Patrick’s Eve. Pumpkin gnocchi with herb cream sauce and parmesan is followed by seared scallops with crab and ginger. And of course the club specials – Saint-Véran 2012 and the pudding trolley. His Eminence is off to The Garrick. Heal’s lives up to its rep on St Patrick’s Evening as the shop that likes to party, throwing an Irish hooley up there with Finnegans Wake. We’re on it like a car bonnet. Sadly teetering on the edge of living memory, Tottenham Court Road was once lined with smart furniture shops. Heal’s, although missing its original concave shop windows, remains standing tall and proud. It’s the launch party of Design Ireland, a showcase for Irish products. Rathbornes 1488 takes pride of place. It’s the oldest candle company in the world. For over half a millennium, Rathbornes has illuminated the homes, churches and lighthouses of Ireland. 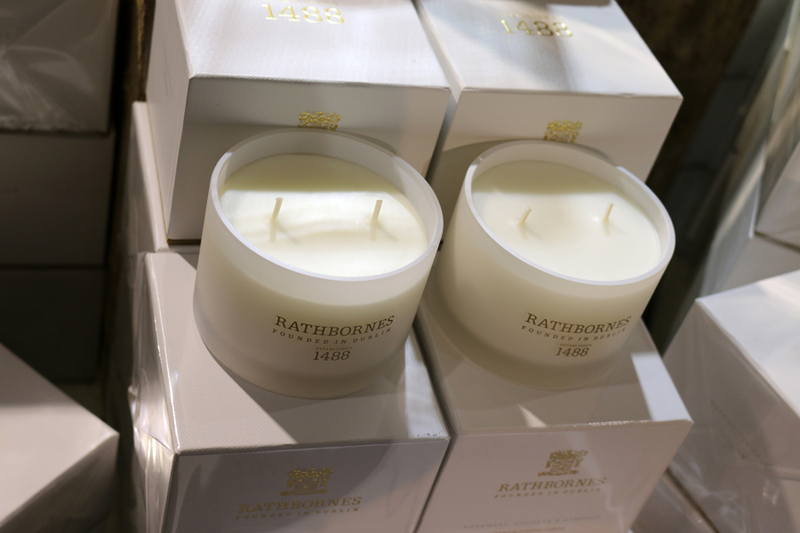 As well as Brown Thomas in Dublin, Rathbornes’ products are now stocked in Fortnum + Mason and Heal’s. The DJ ups the beat. Tonight Lavender isn’t blue; Lavender’s green. This entry was posted in Luxury, People and tagged brown thomas, cardinal cormac murphy oconnor, fortnum and mason, garrick club, heals, lavender's blue, oxford and cambridge club, rathbornes 1488, rathbornes candles, saint véran, stuart blakley, william evans st jamess. Bookmark the permalink. St Patrick’s Day in London ! Excellent !